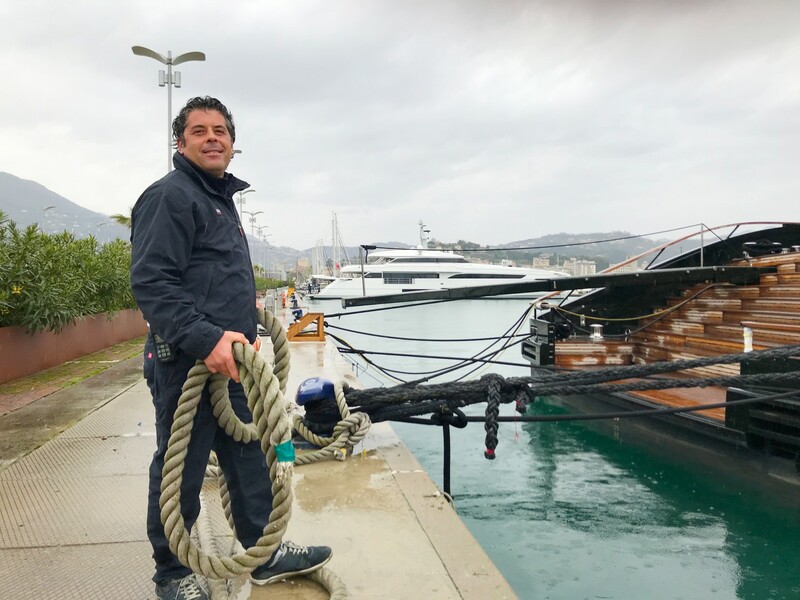 After the interview with Daniela Pellini, director of Porto Mirabello, here we are to tell another important figure of our sturttura: Andrea Giangarè, the Boatswain (we said Nostromo) of Porto Mirabello. Who is the Boatswain of Porto Mirabello? My name is Andrea, I am 45 years old, and I spent a lot of my life on board of yachts where I held various roles, acquiring a lot of experience in the management and operation of navigation. 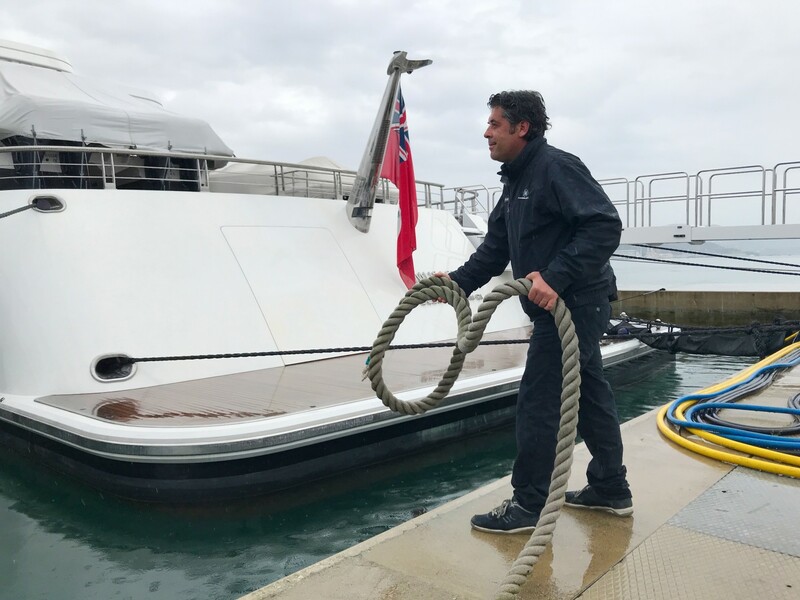 For some years now I played the role of Nostromo del porto, where every day I try to put all my experience at the service of the clients who come here to Porto Mirabello. We are curious: what does boatswain mean to the and why this name for your job? Nostromo is an ancient maritime term. A Boatswain of a ship and a Boatswain of a port are two different jobs. The Nostromo on board receives precise orders from the commander, while the Nostromo of a tourist port is directly responsible for the technical operations, he assists the maneuver of the yachts in the delicate phase of mooring and unmooring and manages the moorings both on the ground and on board, as well as performing other daily services coordinating the technical staff. What do you like most about Porto Mirabello? I like many things about Porto Mirabello, but I am particularly fascinated by the atmosphere that you can breathe for example on weekends with the owners who are sailing here in the port, all with a relaxed and serene air. Technically speaking, instead I really like the structure of Porto Mirabello and its wide maneuvering spaces, which make my job much easier! 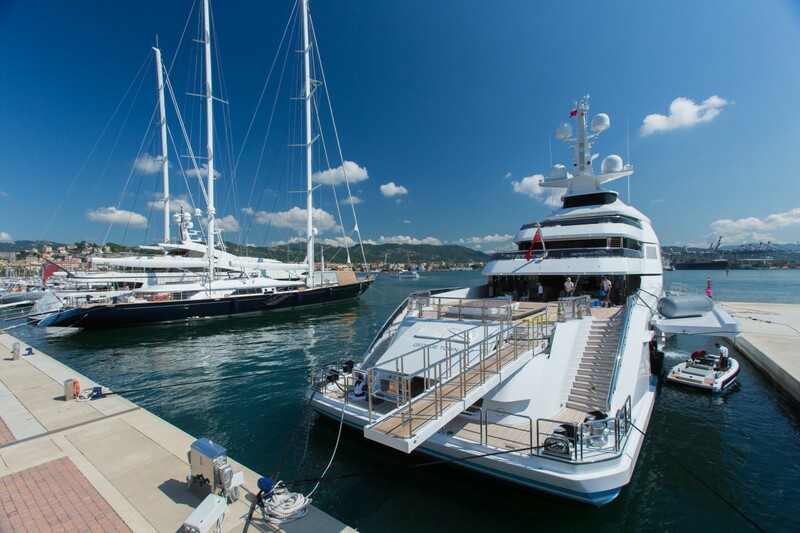 Why shipowners and captains should choose to berth at Porto Mirabello? The reasons are many … I say one for all: when you meet a commander or an owner and you hear “I’m fine here especially after a cruise, finally at home because I relax here too“, here I am very happy, because I feel have hit my goal!